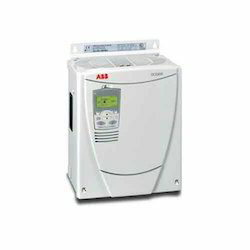 We are notable names in the industry, offering an exceptional array of Inverter Speed Control Drive that is treasured for durable standards and robust designs. We offer them with advanced Output channels for bidirectional encoder with zero pulse. They are sturdy in construction and have high compressive strength. 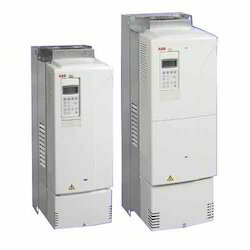 Inverter Speed Control Drive is delivered in stipulated time frame.FOR USE INDUSTRIAL PURPOSE ONLY. Ensure speed and control features in a variety of your low power applications such as automatic gate, solar trackers, treadmills and whirlpool baths. So easy to set up and commission, the design focus of the ACS55 is on easy integration into machines, with flexible mounting alternatives. The DriveConfig kit option allows set up without a power connection to the drive. It’s also ready to go for commercial and domestic environments. 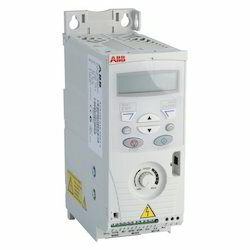 Expanding the voltage range for ABB IP20 micro drives as well as offering a full voltage range of IP66 drives, the ACS255 drive provides more solutions for basic applications. IP66 drives are ideally suited for food and beverage applications like augers, mixers, conveyors, pumps and fans where the drives are exposed to dust, moisture, and chemicals. Feed-thru wiring in IP20 models facilitates replacing panel mounted motor starters. IP66 models are offered with and without front panel mounted operator controls: Disconnect, speed potentiometer, and FWD-OFF-REV selector switch. 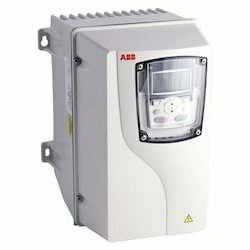 Looking for Inverter Speed Control Drive ?